Brotha Lynch Hung fans may soon have more than enough new music to go around. Aside from working on a brand new EP slated for this October, Lynch revealed over Twitter that he is working on a new Strange Music collaboration. Fans may recall that a new Tech N9ne’s Welcome To Strangeland is currently underway and has been confirmed to only include Strange Music artists. Could this be Lynch’s contribution to the new Collabos album? 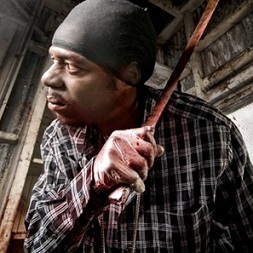 Stay tuned for more from Brotha Lynch Hung. Follow Brotha Lynch Hung on his official Twitter page. Do you think this is a new collaboration for Welcome To Strangeland? Leave your thoughts below!